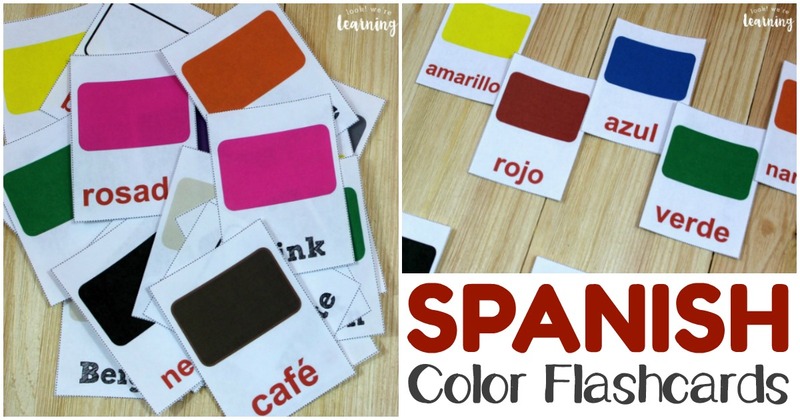 Printable Spanish Flashcards: Spanish Color Flashcards - Look! We're Learning! 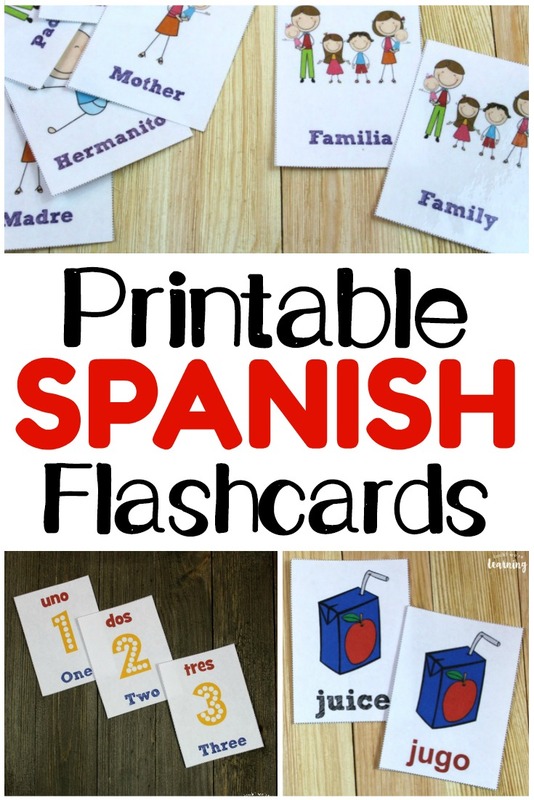 I hope you’ve been enjoying our Printable Spanish Flashcards series! 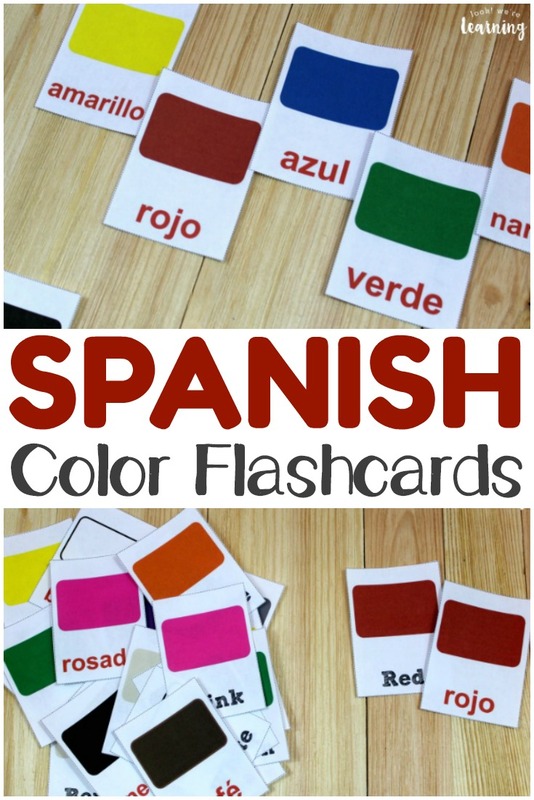 Today I’m sharing a new set of flashcards: Spanish Color Flashcards! I don’t know why it took me so long to make these. 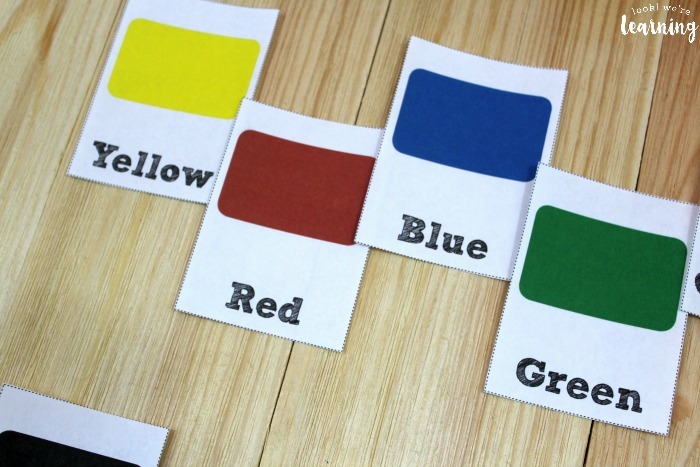 After all, learning to identify colors is one of the most important concepts for toddlers and preschoolers. Chalk it up to mommy brain. There are actually several ways to identify Spanish colors. For example, purple can be expressed as either morado or purpúra, while brown can be identified as either café or marrón. 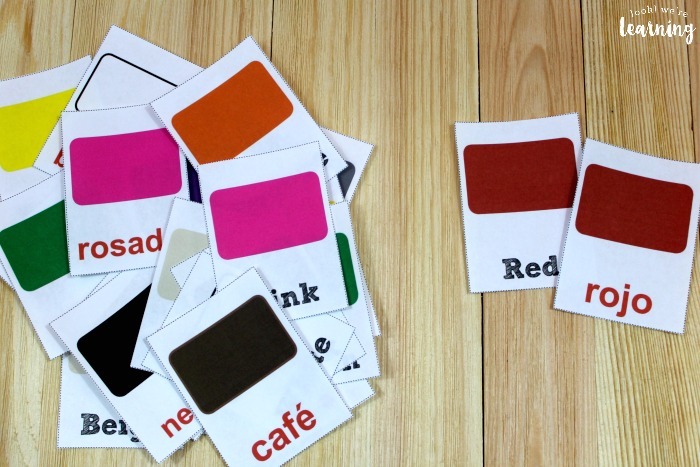 In this set of flashcards, I went with morado and café, but the other words are perfectly fine also. 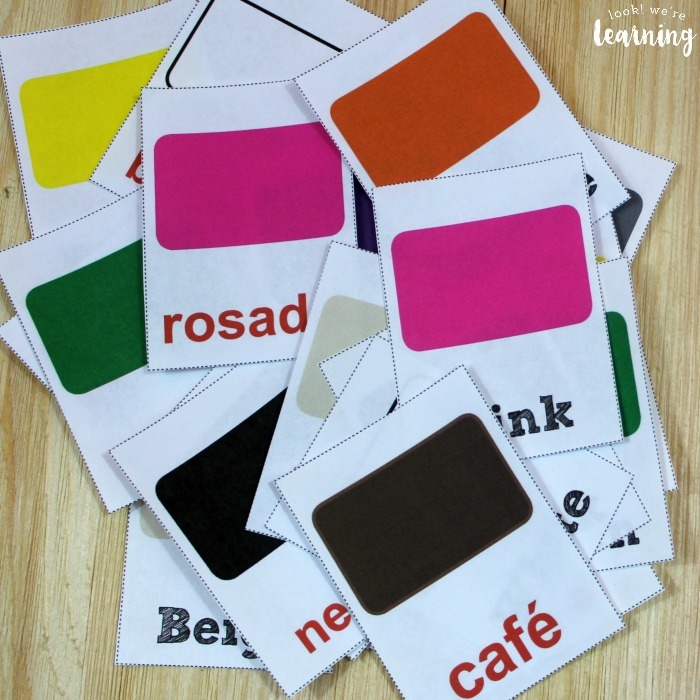 Read on to see how to get your set of printable Spanish color flashcards! 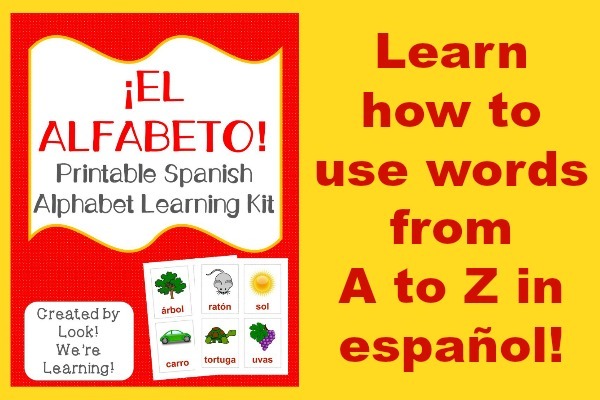 And, for more foreign language learning, check out our Spanish Alphabet Mega Learning Kit! After they’re printed, just cut them out, laminate them, and you’re good to go! 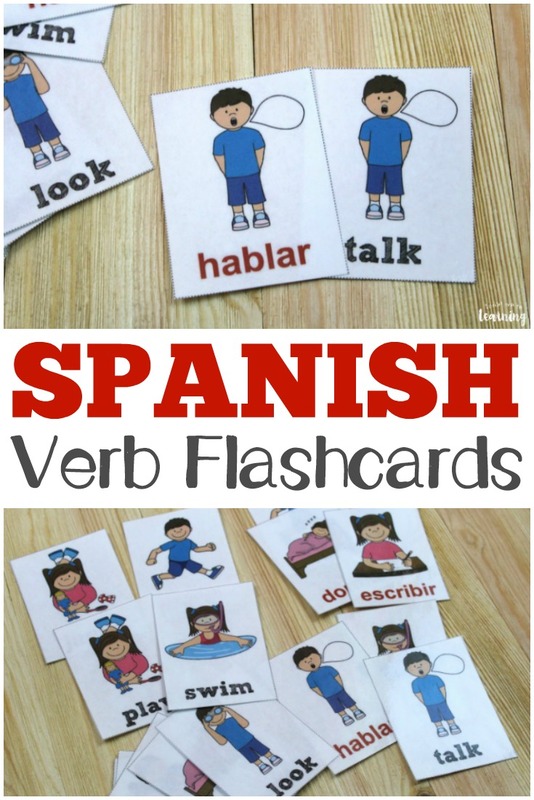 This product includes three sets of flashcards: one in Spanish, one in English, and one blank set. A pronunciation key is also provided to help you say the Spanish words correctly. You can print several sets and use them as a matching game. 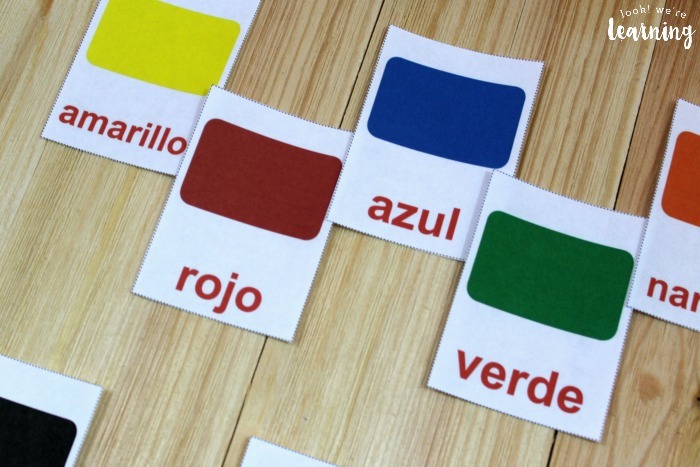 Or you might attach the blank set of cards (the ones that only have the color blocks on them) to household objects with masking tape and challenge your kids to identify the correct color in Spanish. There are plenty of ways to use these! Since the English color words are also included, these would be a wonderful learning tool for early learners as well! 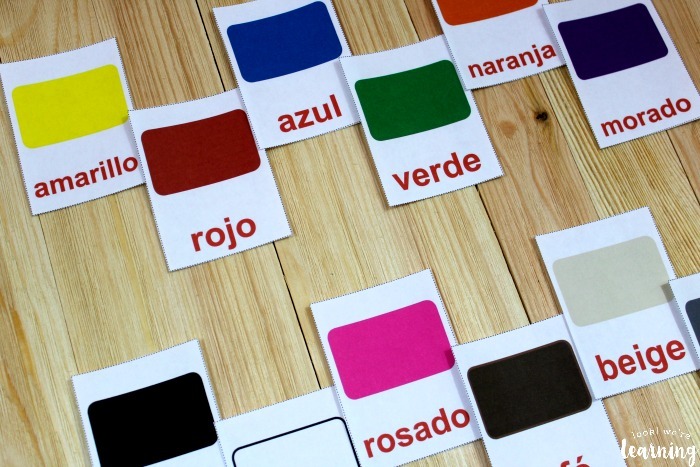 Scroll down to get your copy of our Spanish Color Flashcards! 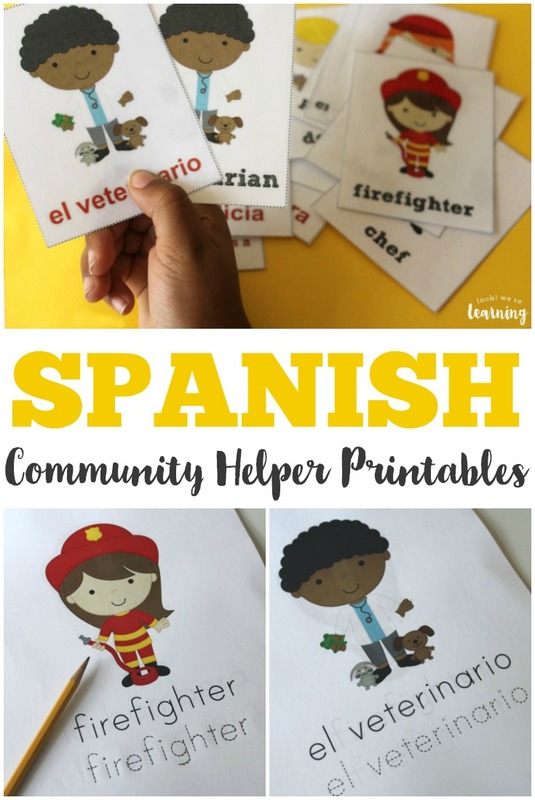 Don’t miss these other Spanish learning resources for kids! 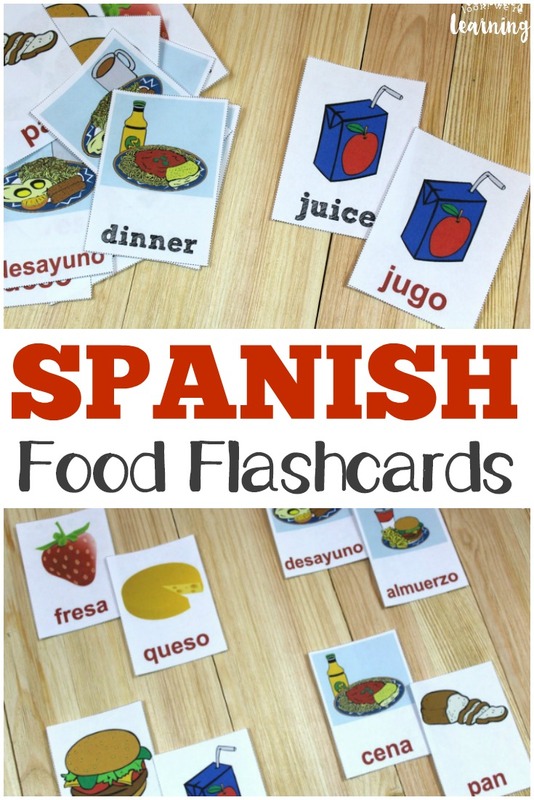 And don’t miss our other printable Spanish flashcards! Get more tips for teaching Spanish to kids on my Foreign Language for Homeschoolers Pinterest board! 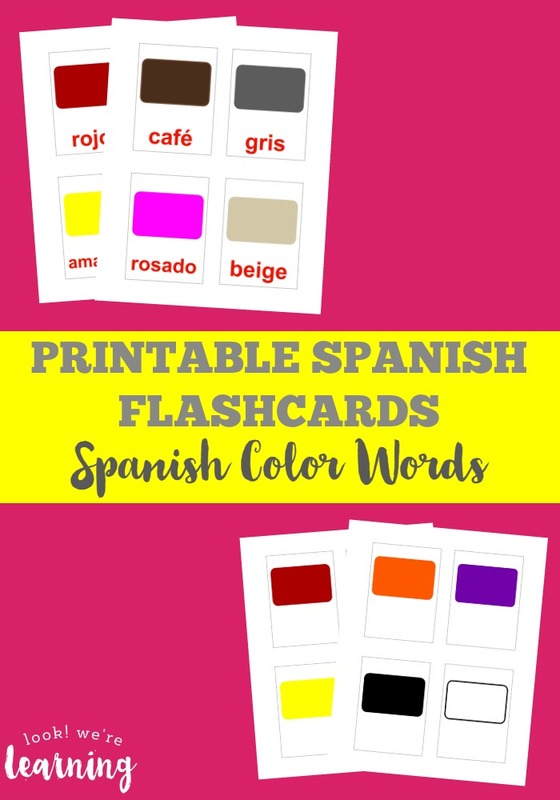 To get your set of our Printable Spanish Flashcards: Colors, click the image or the link below to visit our Store!